The Micro Pro has a lot of accessories in a very compact package (click to enlarge). Tubeless bike tires are one of the best technologies introduced to mountain biking. Flats occur a lot less often as those thin, pesky inner tubes are eliminated from the system. And when the tire itself is punctured, Sealant inside the tire is usually sufficient to seal the hole. But flats still occur with regularity on the trail as the sealant can’t seal big holes or the sealant in the tire dries up and goes unchecked. So we’ve all been there, shaking the tire to no end hoping the sealant will plug the hole. And when all else fails, we pull out the inner tube of shame and step back in time and install the tube. 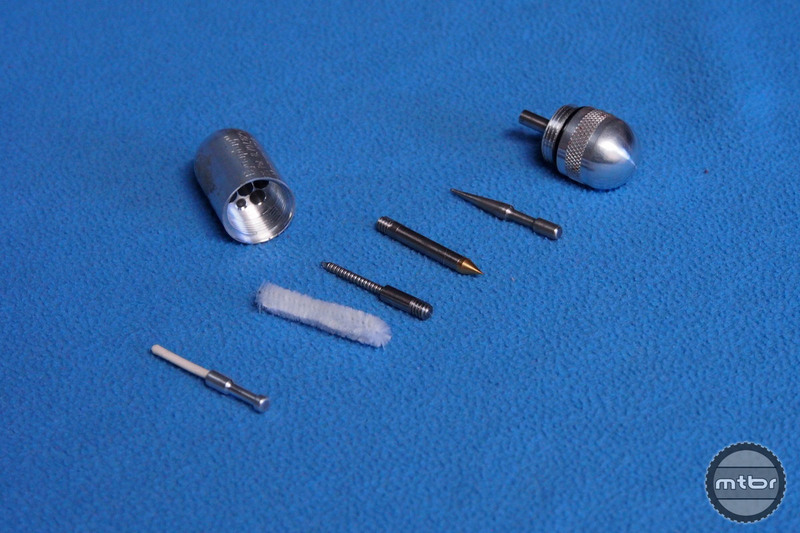 The case of the Micro Pro is made of CNC’d aluminum (click to enlarge). Dynaplug, from Chico, CA has been offering tubeless repair kits for automobiles and motorcycles for years so they saw an opportunity to offer their unique, patent pending solution to the world of bicycle tires. The Dynaplug solution is indeed a novel one. At the heart of the system is a patent pending carrier that inserts a plug into a punctured tire. To do this, a brass tip connected to a tacky rubber plug is pushed in to the tire. Pulling the carrier out leaves the tip inside the tire and the plug to cover the hole. The Carbon Ultralight kit come with a set of three plugs while the Micro Pro comes with five. We’ve tested it in several situations and the seal is reliable indeed with or without sealant. Even on the sidewall, Dynaplug can be used as long as the structure of the casing is still intact. If the casing is cut or slashed, then all hope is lost. 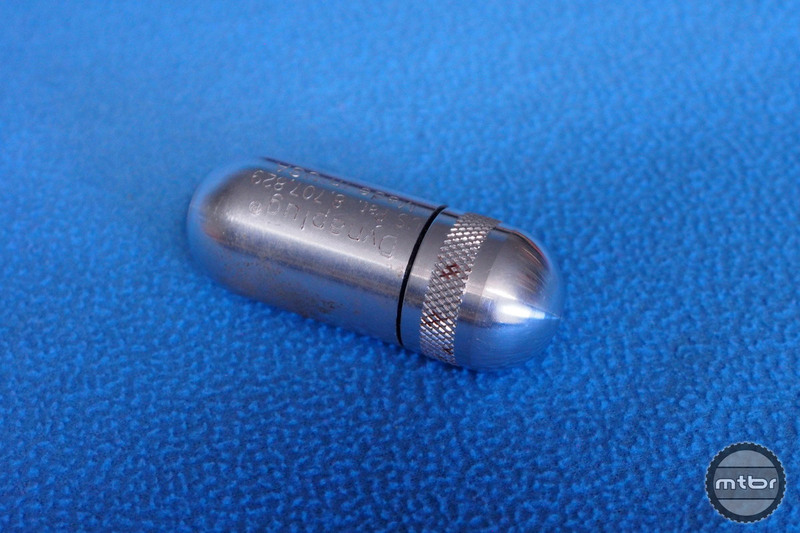 Won’t the brass tip of the plug damage the rimbed in case of a second flat? It’s a remote possibility if the rim is carbon. But one would have to ride the flat tire for a long time. Also, the recessed part of the rim is out of the way, The sidewall is the only exposed part but that is such a small surface area. 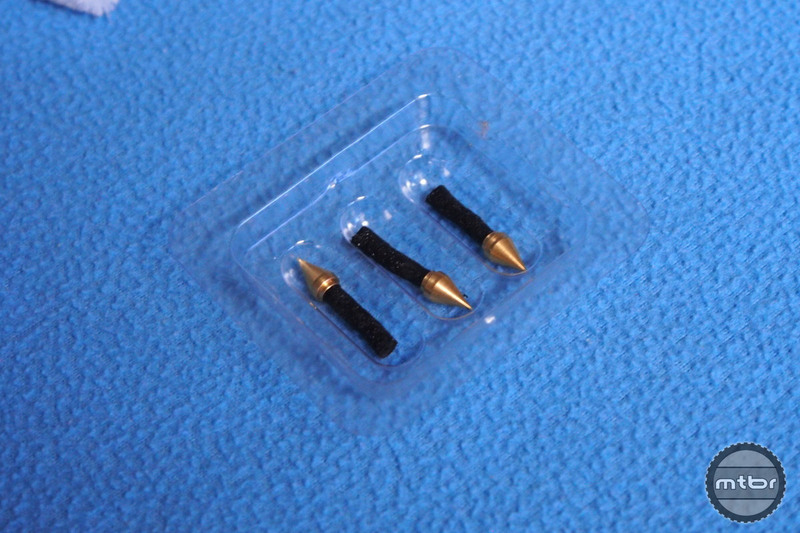 For very cautious buyers, they also sell a ‘bullet’ style brass tip which is rounded instead of sharp. It’s a little harder to insert to plug the flat. This is a product that is overdue. I have plugged many punctures in my car tires with great success, this is just a downsized version of the same. I’ll pick one up the first time I see one in my LBS. This looks cool, but WAY to expensive for what it is. I use the $6 Genuine Innovations UST Tubeless Plug Patch Kit and it works great. Same concept with out all the fance metal works….and lighter. I’ll just pick the same thing up at Walmart for 1/4 of the price. Appeals to those who base functionality on price though. Will it work with the higher pressures of Road Tubeless? at x10 the cost of the competition (Genuine Innovations), this product is not worth it. The $6 solution works great!